Great economic news continues to pour in. 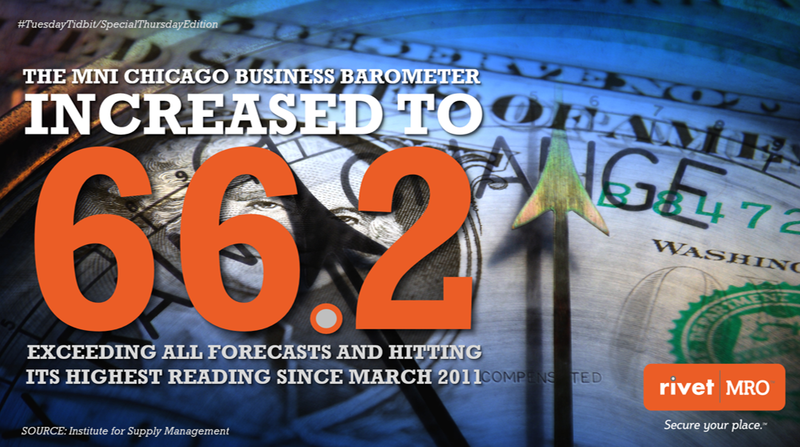 This time, the Institute for Supply Management announces that the MNI Chicago Business Barometer rose to a 6.5-year high, hitting 66.2 in October. This is the highest level it has reached since March of 2011. What's more, factory order backlogs hit their highest level in 43 years--even after setting a 29-year high last month.